Since their formation in 2002, Beoga ( gaelic for 'lively' ) have become regarded as one of the most popular and influential ensembles in modern Irish music. 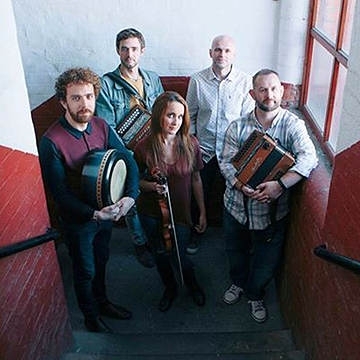 Their unique sound showcases the twin duelling accordions of Damian McKee and multi-instrumentalist Seán Óg Graham, pianist Liam Bradley, four times All-Ireland bodhrán champion Eamon Murray and Niamh Dunne, one of Ireland’s premier young talents, on vocals and fiddle. Beoga have been described by the Wall Street Journal as ‘the best traditional band to emerge from Ireland this century’.